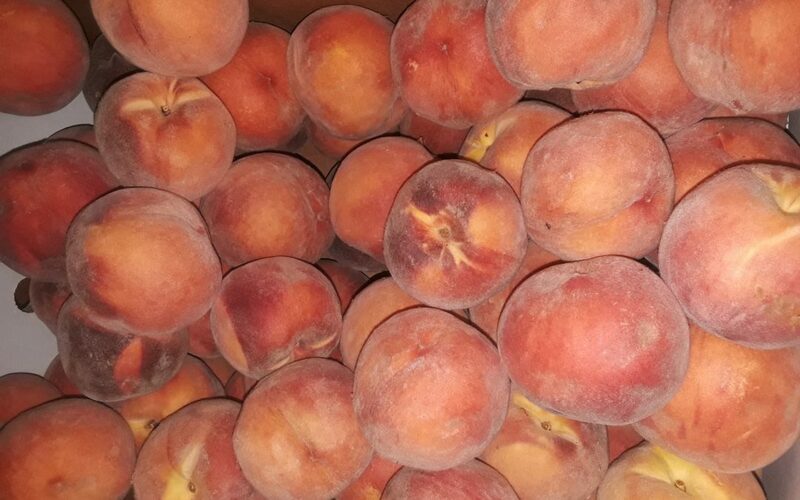 This post was originally published in August 2015… but I experienced it all once again this past Saturday when I picked up this year’s crop of peaches from the annual Rotary Club Peach Sale. Both the peaches and and the volunteers were bountiful! Summer is waning but I am committed to making the most of these final weeks. Soaking in the sunshine and savoring the tastes of sweet summer fruits – which brings me to peaches… and an unexpected demonstration of how one volunteer can transform the most mundane role into a powerful opportunity. This weekend, among my errands was picking up the case of peaches I ordered a month ago through the Denver Rotary Annual Peach Sale. While I knew that proceeds from this sale support programs of Denver Rotary Club and Rotary International, to be honest, I ordered the peaches for two primary reasons: 1. A colleague sends me information about the sale each summer and I want to support the cause that is so important to him; and 2. Colorado peaches are really something special. Yum. As I approached the parking lot, I couldn’t miss the huge truck ready to disgorge its cases of peaches and the line of volunteers with clipboards waving us in. I expected to leave with my case of deliciousness… but instead received peaches and a bonus lesson in the power of one volunteer’s strategic messaging. Here’s what happened. Volunteer: Good morning! Thanks so much for coming. Can you give me your name? Volunteer: Beth? Yes – I see you’ve purchased with us before. Thank you so much for your past support. We really appreciate it. Volunteer continues: Your participation in this sale directly supports 17 international programs plus our local programs that include support to underserved students in the region to help them reach their potential. In fact, the graduation rate for participants in our Denver Kids, Inc. program is 95%, compared to the graduation rate throughout Denver Public Schools which is 65%! With that comparison, we know our programs are working! Here’s a thank you note from our board. Again, thank you so much for your support. You can pull ahead and the “loaders” will put your peaches in the back of your car. Have a great day. He greeted me with a friendly, sincere welcome which set the tone for the rest of the interaction. He used my name (after I told him my last name), making it personal immediately. Then he acknowledged my past purchases – which made me feel known and appreciated. Not only did he tell me what this fundraiser supports, but he quoted a compelling statistic as evidence of the organization’s success. The postcard from the board includes a thank you, a general recap of what the volunteer said, plus, of course, contact information and website resources to learn more about the organization and its work. Imagine if every interaction volunteers have with the clients, customers, constituents, or visitors to your organization included a smile, a personalized interaction, clear impact statements, and a way to learn more? And all that within about 60 seconds? How are you arming volunteers to be the face of your organization and to engage with the public in this strategic way? What messages, strategies, and straightforward, memorable data points are you providing to them to help them communicate? Imagine the difference volunteers can make when they understand that their role is more than a ticket taker or a check-list person, rather that they have the power to be ambassadors for the organization, to make personal connections with each individual, to communicate impact, and to empower individuals to get more involved with the organization. I am going to ponder that potential… as I go off to make some cobbler.